Blues Award Winner Maarud was also part of the Norwegian band that was assembled to back Legend Lowell ” Banana ” Levinger from The Youngbloods . Also this concept must be said to be among the highlights of this year’s festival . The two concerts at The Bok and Blues House are going to be talked about for years to come . Thanks to Lowell and thanks to his wonderful Norwegian musicians spearheaded by Reidar Larsen and Knut Hem. Banana’s good-natured remake of Grizzly Bear sets the scene for a lively romp through Youngbloods nuggets, spread over two 10” vinyl albums in Shagrat’s customary vibrant packaging. 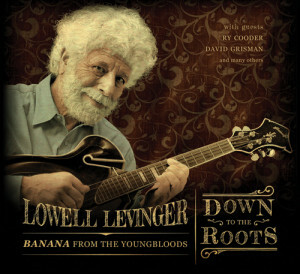 This is the first time West Marin’s Lowell Levinger has used his given name on an album. It’s easy to see why he’s gotten more formal on the all acoustic “Down to the Roots.” With guests the caliber of Ry Cooder, David Grisman, Barry Melton and Terry Haggerty, Levinger clearly wants to be taken seriously this time around. This collection of 14 songs is a nod to the Americana music of his youth in Santa Rosa, when he would take buses to Music City Records in Oakland to buy blues and R&B records he heard on the radio on so-called “race” stations, and to the folk tunes and bluegrass he listened to and played when he went to Boston College in Cambridge, Mass, in the 1960s. 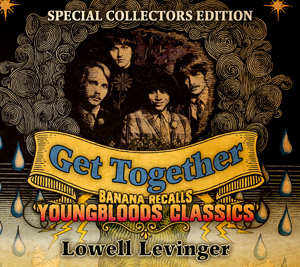 LOWELL LEVINGER: Better known simply as “Banana,” Lowell was part of the late 1960s band The Youngbloods and singer on two anthems, “Darkness, Darkness” and “Get Together.” He could have stopped and rested on those two songs the rest of his days, but he performed new material as well. He still has the drive to create music that makes a difference. Lowell “Banana” Levinger represented the Woodstock generation at the conference. An original member of the Youngbloods, Levinger reprised the classic hits “Darkness, Darkness” and “Get Together” during his solo set. He remembered the late Pete Seeger as introduced the latter song. “I feel that we helped spread what he stood for,” Levinger said. Levinger also suggested that he and many of his colleagues were fatigued. “This is my first Folk Alliance Conference and it’s been a lot of fun, unless you think sleep is fun,” he said. A video interview with Banana by Rik Palieri for The Song Writers Notebook – Done in Pleasant Hill, Kentucky at The Song Farmers Gathering – . An Interview with Banana by Henry Cariigan for No Depression – The Journal of Roots Music – . An Interview with Banana by Paul Libertore – This article on Banana Appeared recently in the Marin Independent Journal. Learn about the Banjo from Banana – An Interview in The Collectors Weekly Banana is interviewed about the history and use of banjos. Banjo jokes and all. Banana interviewed on Mandolin Cafe 10 Questions asked by Dan Beimborn. A variety of questions about music, music software, hang gliding, old instruments, etc. 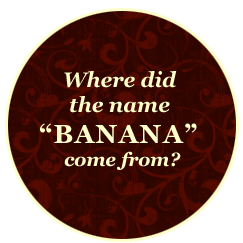 Banana on BanjoTalk.com An Archive of a Live Interview Sunday December 6, 2009 . David Pericone interviews Banana about banjos, Youngbloods and everything else.